December - 'tis the season to celebrate Christmas, Hanukkah, or other holidays dear to the hearts of many. 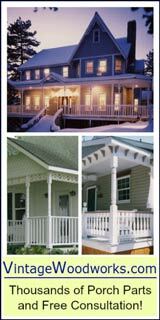 Whether you celebrate the beginning of winter, one of the designated observances or none at all, December is a most popular month for decorating your front porch. 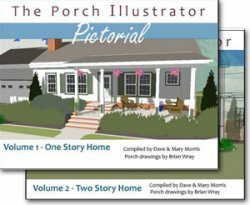 Having lived in snow country for most our lives, Mary and I know porches sometimes become storage spaces for boots, sleds, skis, skates, and even firewood. 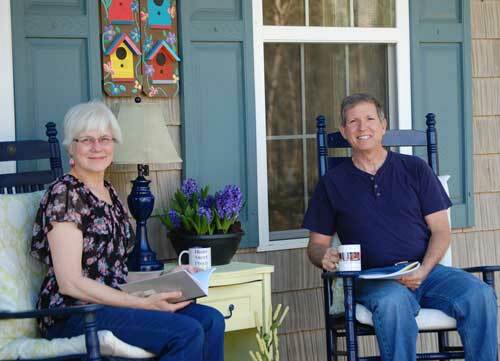 Now that we live farther south, porches in winter serve as places for morning cups of coffee. 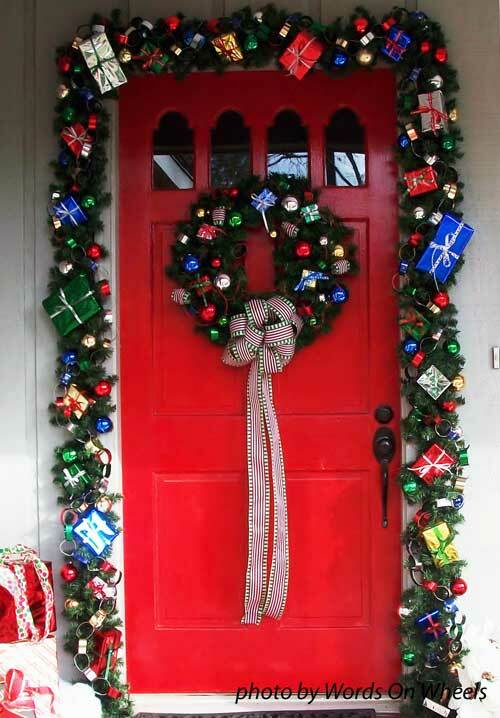 Decorating your porch for December's festivities is fun and easy to do. 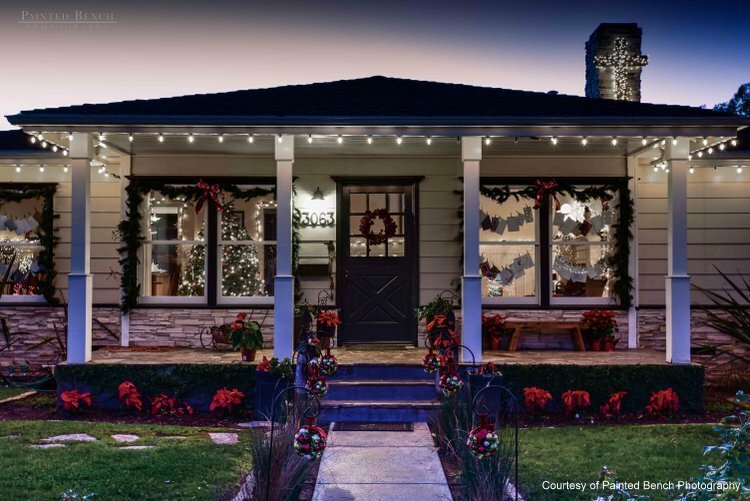 In this issue, we highlight decorating, lighting ideas and project ideas from the simple to the sophisticated, all of which almost anyone can do to brighten the season. 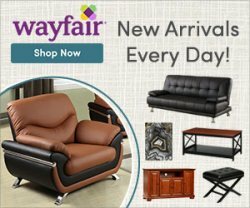 We also have some gift ideas we know you'll enjoy. Outdoor lighting has never been more popular and you have a myriad of lighting options. 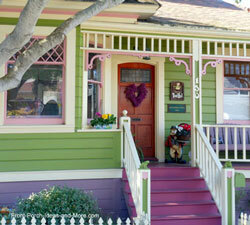 We illustrate a few below using photos to get you thinking what you'd like to display on your home this year. 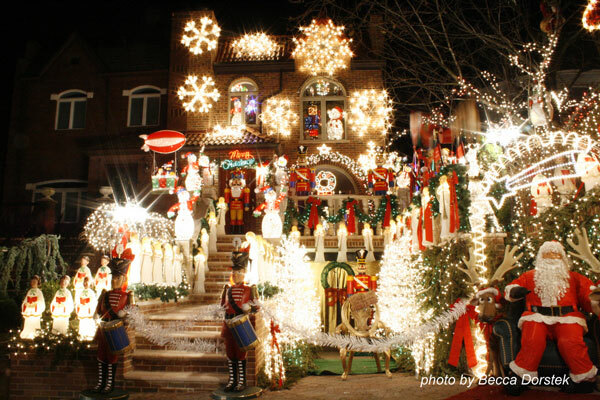 Whether you prefer traditional lighting or something more extravagant, be sure to see our entire outdoor holiday lighting section. 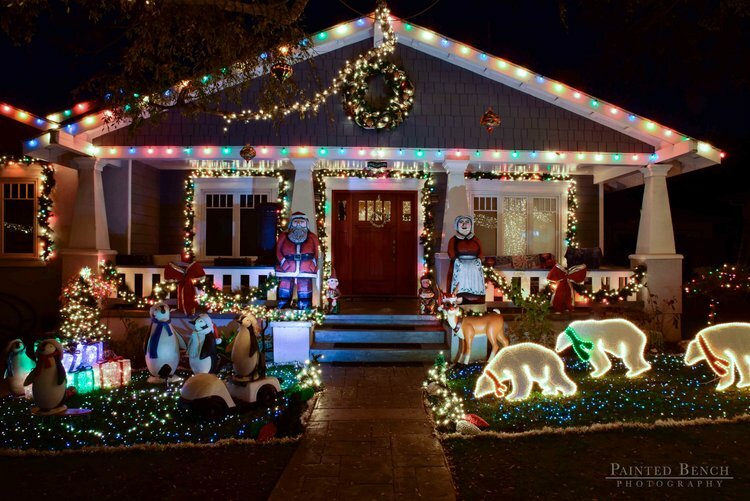 Interested in how Becca takes amazing Christmas light pictures? 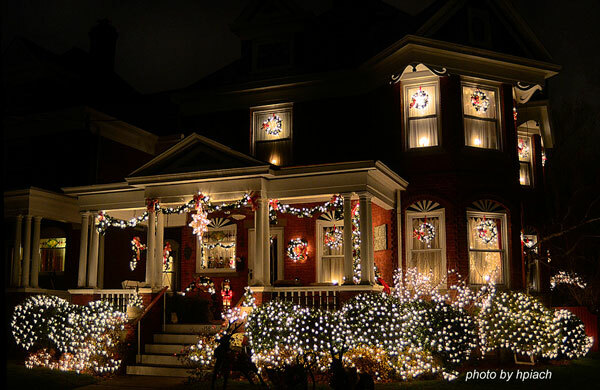 Listen to our podcast with with Becca for outdoor lighting photography tips and ideas. 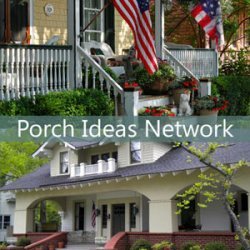 If you love quick and festive ideas for your porch then this is one of those ideas. 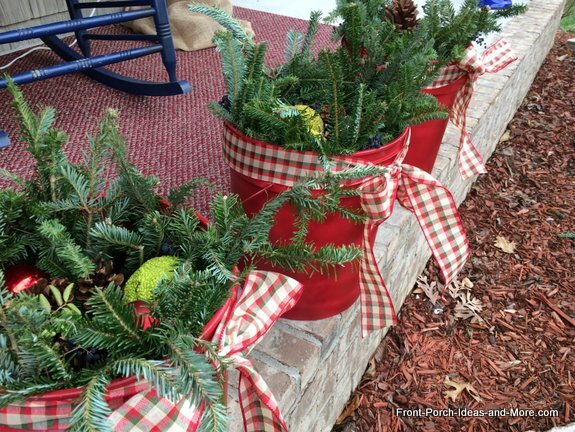 We painted a paint bucket red and filled it with fresh greenery and bright red ornaments. No fresh greenery handy? No problem. 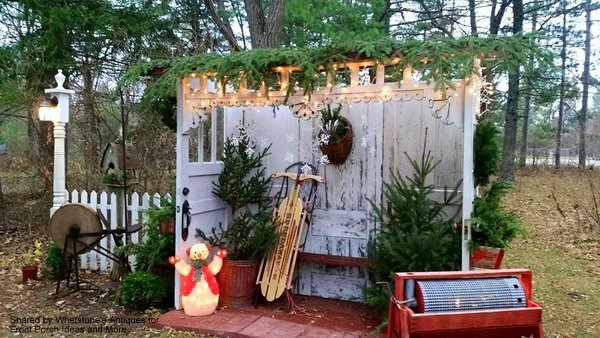 You can get free greenery trimmings at most Christmas tree stands. We found ours at a home improvement store. 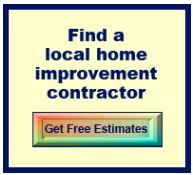 We've got ideas for you. 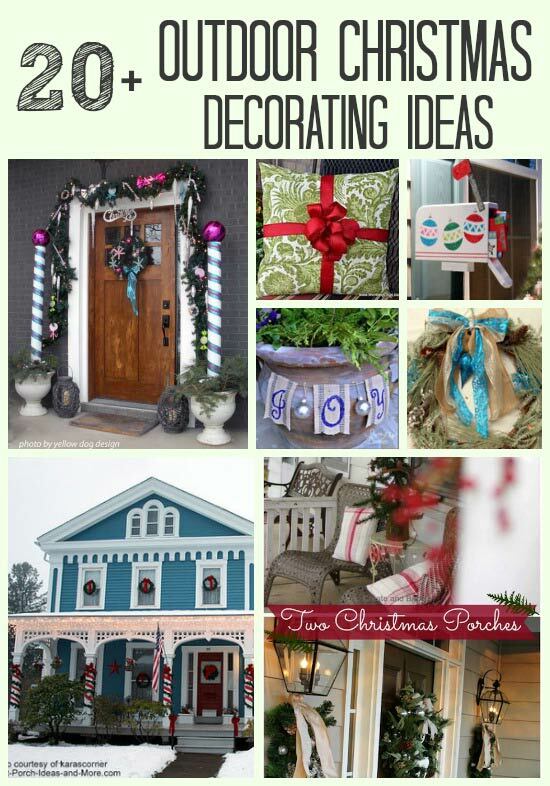 Start with our 20 plus ideas and use our Christmas Decorating Directory to find easy and relatively inexpensive to create. The folks at Whetstone's Antiques of Wisconsin Rapids, Wisconsin created this Christmas door display at their shop to welcome their customers. We can just imagine how magical it will look when it snows. 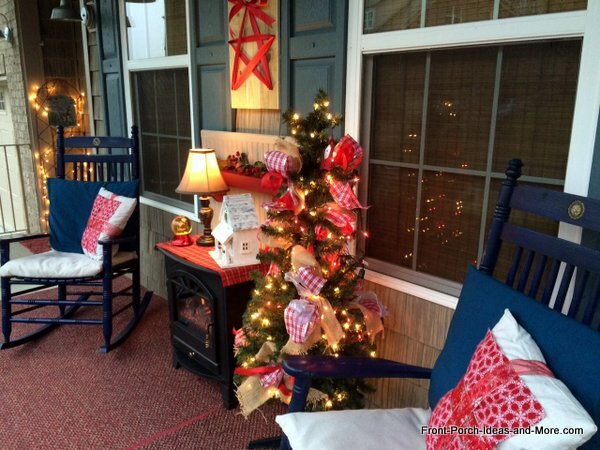 Does this display give you ideas for your porch? Wreath designs are a popular topic this time of year. 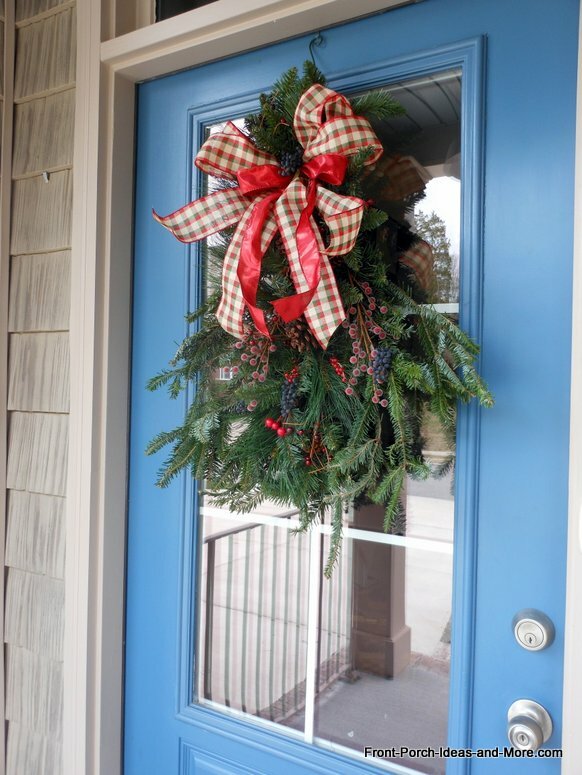 Whether you purchase a wreath or make your own, be sure to find the perfect design for your home by seeing our holiday wreath ideas. 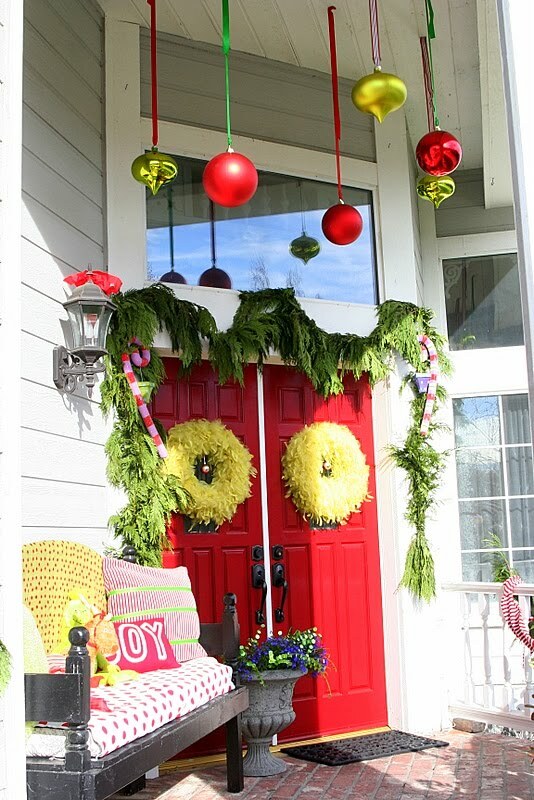 Check out how to make a Grinch front porch for Christmas. We love to make Christmas and know many of you do too. 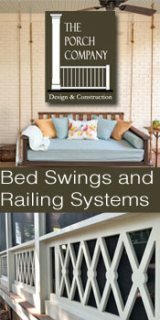 Here's two of our many projects we've made that are fun to do. We have instructions also. 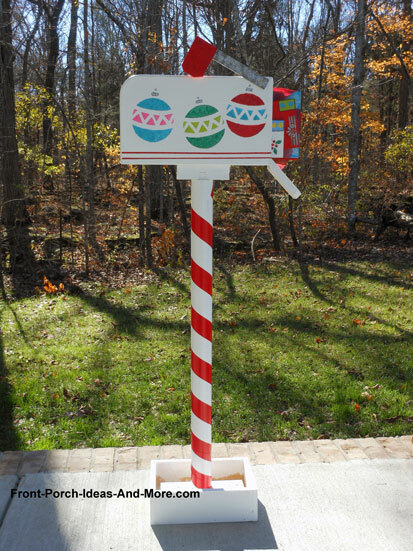 Our Christmas mailbox project comes with complete instructions for building and painting your mailbox. Fill it full with handmade letters and packages. 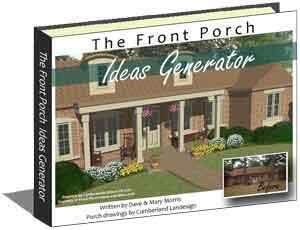 Perfect for the front porch or yard - the kids (and neighbors) will love it. So easy! 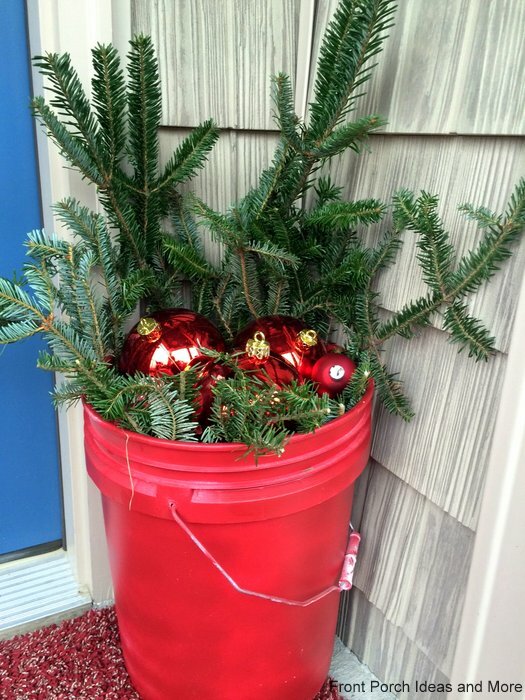 We used inexpensive buckets from Home Depot to make hold decorative holiday greenery. 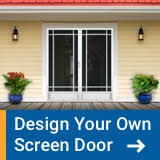 Use our step-by-step tutorial and add your own special touch. 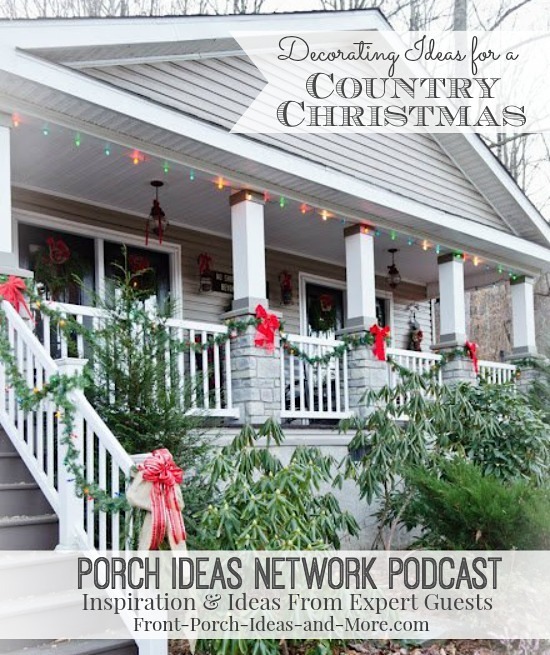 We have several podcasts we think you will really enjoy to get expert advice for Christmas decorating and lighting ideas.